Last Sunday, I completed my 3rd half marathon - a 13.1 mile run. I did 2 in 2011, January at Walt Disney World and June in the wine country of Virginia. 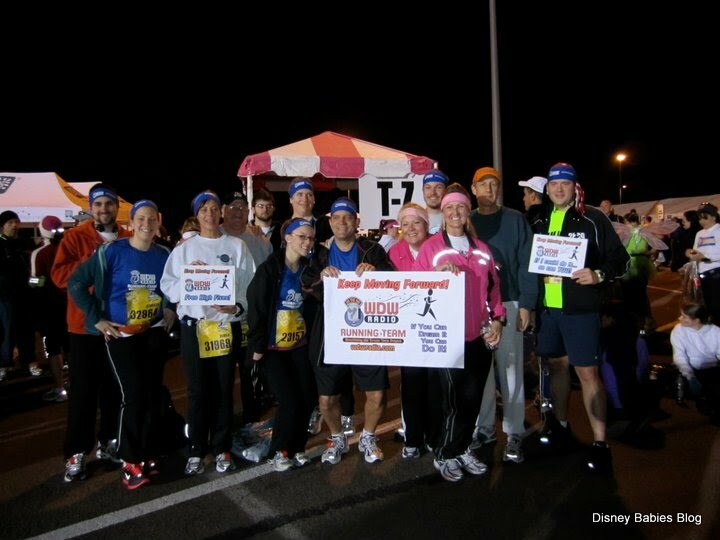 Races generally raise money for something - WDW Marathon Weekend raises money for the Leukemia and Lymphoma Society. A part of the high fee that you're paying goes to that charity. But, on to top of it, we joined the WDW Radio Running Team - Lou Mongello's Team - to raise money for Make A Wish Foundation. Lou and his team have helped send multiple Make A Wish children to Walt Disney World for vacations - and I think that's amazing. I've enjoyed being part of that team - I even caught up with a few of them during the 5k back in January. But, I've since thought of a few charities that have even more meaning - not that the others aren't amazing, but some hit closer to home. 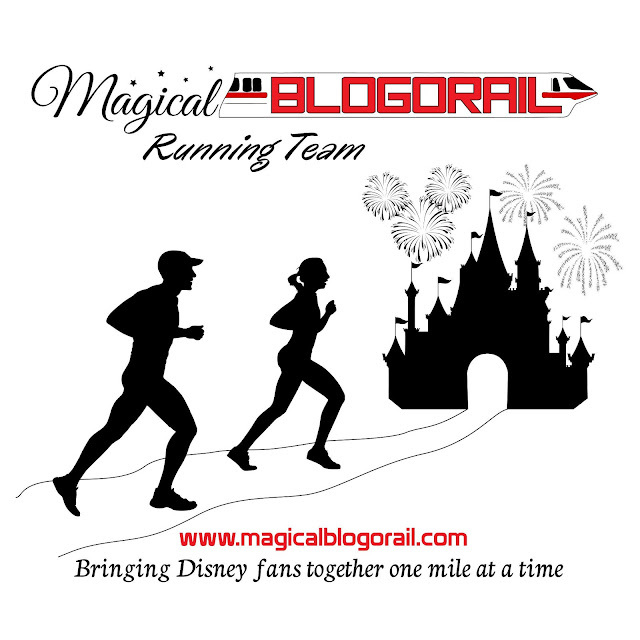 I've teamed together with a few members of The Magical Blogorail to form our own running team to support charities that really hit home with us. Within the Disney blogging community that I have come to be a part of, as well as coworkers, and I'm sure eventually friends, Autism is everywhere. No one seems to know what causes it, and with the doctors being more aware and catching it earlier than ever, it seems as though it's everywhere. Groups such as Autism Speaks are out there trying to find a cure/prevention - and I'm excited to run for that cause. Another amazing cause? Team Dustin. Beth, owner of Pursuing the Magic and creator of The Magical Blogorail is a mother of 3 adorable children and an aunt to (at least) 3 more beautiful boys. But, 1 of those little boys she knows and loves has Stage 4 Neuroblastoma a horribly invasive cancer that for some awful reason targets small children. Dustin is 2 and has already undergone multiple rounds of chemotherapy and is currently in NYC (from his home in TX) awaiting surgery to remove the cancerous tumor. SURGERY. For a 2 year old. Because of cancer. Every time I read about it, I cry and run to spend time with my 2 year old, appreciating him even when he's in his the midst of his "terrible two" moments. In June 2012, our family received devastating news that our grandson Dustin Pickel was diagnosed with stage 4 high risk Neuroblastoma. Dustin is two years old and lives with his father and mother, Jeff and Kelly Pickel, along with his two brothers, Braden five and Collin ten months, in Round Rock Texas. Neuroblastoma is a rare cancer of the sympathetic nervous system — a nerve network that carries messages from the brain throughout the body. Each year there are about 700 new cases in the United States. It is usually found in young children and is the most common cancer among infants. Dustin’s tumor began in his adrenal gland and spread to his bone marrow. Once Dustin’s tumor was diagnosed, a treatment protocol was developed by the doctors at Dell Children’s Hospital in Austin Texas. Unfortunately the tumor was too large for surgery and required chemotherapy to reduce it before surgery could be considered. Dustin has completed four rounds of chemotherapy and has one remaining treatment. Surgery is scheduled for October 12th. The chemo has taken its toll on Dustin’s body. He has under gone numerous tests and blood transfusions as the chemo destroys his immune system. Since this is a rare cancer, Jeff and Kelly researched the best place for Dustin to have his surgery and a surgeon who specializes in this type of cancer. They found such a place and surgeon at Memorial Sloan Kettering in New York City. The surgery will require him to be hospitalized for three to four weeks with additional chemo and radiation. After the surgery, he will make approximately sixteen additional trips to New York for the 3F8 Monoclonal antibody treatments. Because of the amount of care Dustin requires, Kelly has had to resign from her job at Dell Computer where she has worked for thirteen years. So, I couldn't think of any better idea than trying to help raise money for not 1, but 2 amazing causes. As a team, we're only asking for a small donation - $50 (minimum). It can be split between the 2 charities, go directly towards 1, or however you'd like. We will have a Team Autism Speaks page to donate on and we'll figure out a group way to help that beautiful 2 year old boy. As of now, donations can be made via checks payable to “Team Dustin Donation Fund” care of Wells Fargo Bank, 271 University Oaks Blvd, Round Rock, Texas 78665. Unfortunately, the Team Dustin Donation is not tax deductible, but it's still an amazing cause. We're planning to make shirts for the race - wicking (I'm picky with my running clothes) and we can also make spectator shirts, if people want those as well. I will personally be at the Princess Half Marathon, but we'll hopefully have some runners at all of the runDisney events in the future! We hoe you will join us in running for some amazing people. To Join the Magical Blogorail Running Team, email MBRunningTeam@gmail.com with your name, shirt size, and races you'll be at and stop by our facebook page for updates!